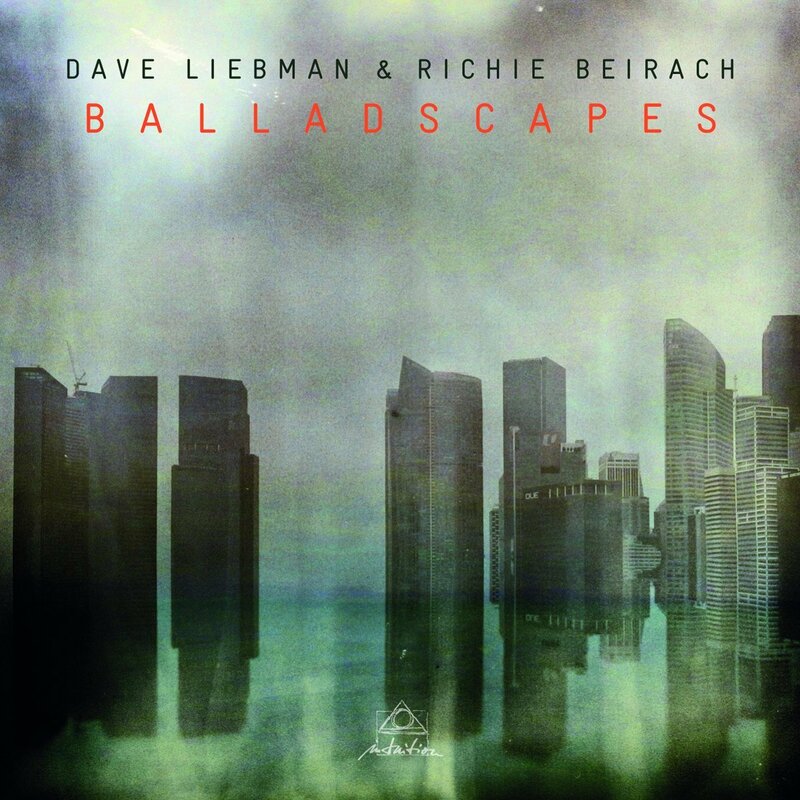 Just like sibling harmonies, the magic created by the tandem of Dave Liebman, 69, (soprano and tenor sax plus flute) and Richie Beirach, 68, (piano) has been nurtured, in this case, for almost half a century. They need no rhythm section. Their chemistry, their interplay, their almost preternatural ability to anticipate one another and expound upon each other’s ideas are second nature to them now…like breathing out and breathing in. Balladscapes (Intuition Records, Germany) is so pure and free that it has, forevermore, cemented these two in time. These guys are no small potatoes. After meeting at Queens College, and jamming on mostly Coltrane material in Liebman’s loft on 19th Street in New York City or Beirach’s small apartment downtown on Spring Street, often with bassist Frank Tusa, they finally recorded Liebman’s 1973 landmark First Visit debut with Jack DeJohnette and Dave Holland. Liebman was in the bands first of Elvin Jones and then of Miles Davis. Beirach was in the band of Stan Getz. Balladscapes is a first for them both. Sure there’s Coltrane (“Welcome/Expression”) but there’s also Bach (“Siciliana”), Kurt Weill (“This Is New”), Antonio Carlos Jobim (“Zingaro”), Wayne Shorter (“Sweet Pea”) and some Ellingtonia (“Day Dream”) amidst its originals, 13 in all.